The DRIVESTAR 512144x2 Pair:2 New Rear Left and Right Wheel Hub & Bearings for 97-01 Honda Prelude . DRIVESTAR Wheel Hubs are quality-tested and engineered to the highest of manufacturing standards to provide longer life and smoother operation. 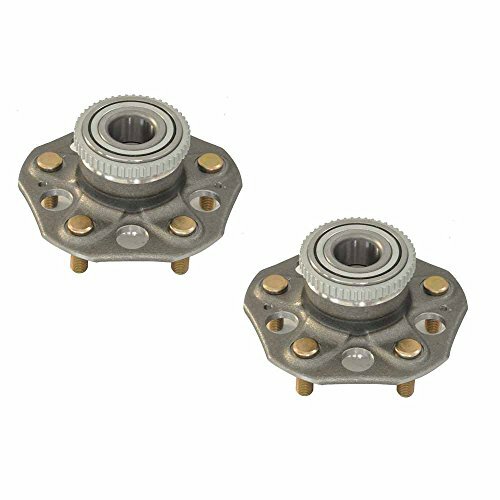 Designed to perfection, this wheel hub and bearing assembly provides optimum performance without having to worry about abnormal noises or a faulty connection. Also, they are intended to provide easy and quick installation. Please note: It is important to torque your Wheel Hub Bearings according to vehicle specifications to prevent failure. If you have any questions about this product by DRIVESTAR, contact us by completing and submitting the form below. If you are looking for a specif part number, please include it with your message.